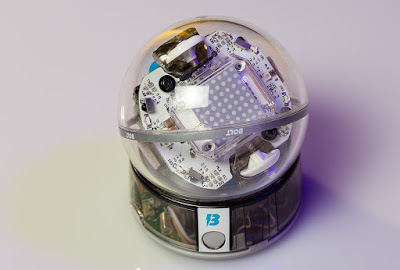 It doesn't seem like five minutes since we last reviewed one of Sphero's robotic ball offerings in the shape of the cute BB-9E. However, we're happy to once again revisit familiar ground, as Sphero's latest spherical bot does a whole lot more than simply roll around. We check out the Sphero Bolt. Just as with previous versions of the Sphero, the Bolt is a fully-enclosed hard plastic ball filled with remote-controlled gadgetry. 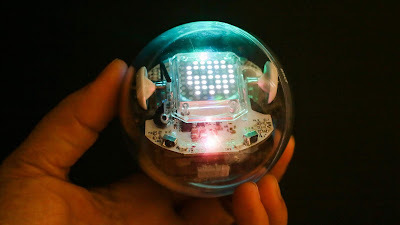 Link it to your smartphone via Bluetooth and by way of the Sphero app (more on that later) you can drive the ball around your living room, much to the bemusement of pets and babies. 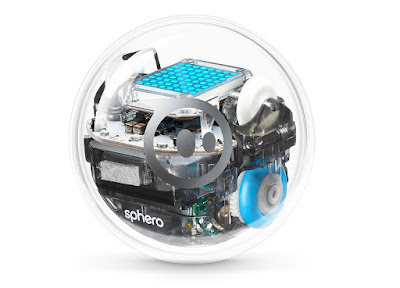 We've been reviewing Spheros for five years now, and always find them fun. However, the Bolt is about more than a being a simple novelty. But, first of all, the name. 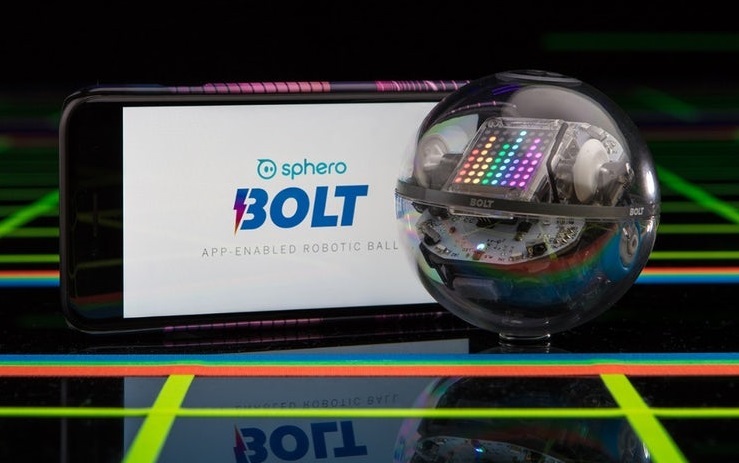 Bolt actually refers to the fact that this is the fastest robotic ball that Sphero have ever made, and they certainly aren't joking. This thing is nippy as hell and very easy to drive about. The Sphero Edu app uses the same interface as previous versions, letting you drag your finger across the screen to send the ball in that desired direction. Even toddlers can master that. 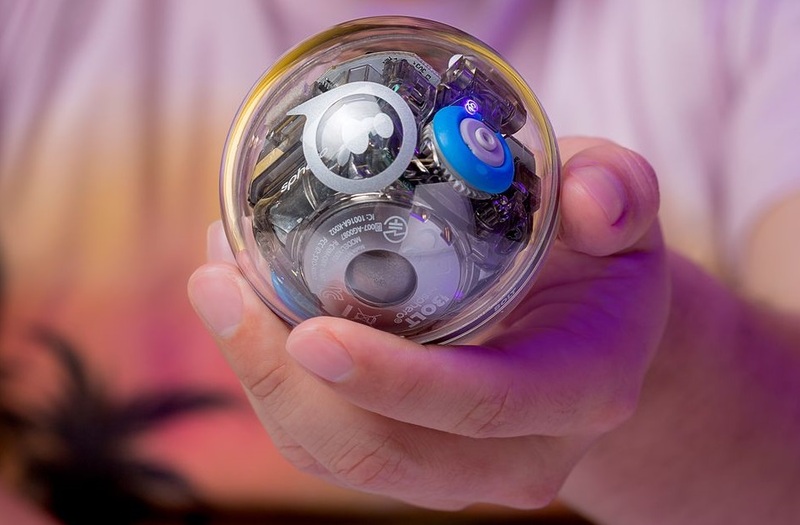 Uniquely, the Bolt is the first Sphero to possess a compass, so it can understand its own orientation. This also means it can auto-aim; finding the control phone itself to know what direction to roll in. Watching the internal workings twist and turn with the magnet image glowing on the matrix is great fun. So the Bolt is a wonderful STEM toy, kick-starting an interest in coding for kids, and letting adults get a handle of the discipline in an enjoyable way. As with other Spheros there's lots you can do with the Bolt, from using it as a game controller on many other mobile games (download the Sphero Play app and see), to teaching kids about speed, velocity, and direction. There's a lot going here and we love it.